Maybe, Sponge of the Sea. I have purchased 60 Meters of Eponge, this is about 60 Yards, and a meter is close enough to a Yard, which who cares, thinking the same. In my last newsletter, I wrote a tip about Eponge, or some French plastic body scrubbing material. 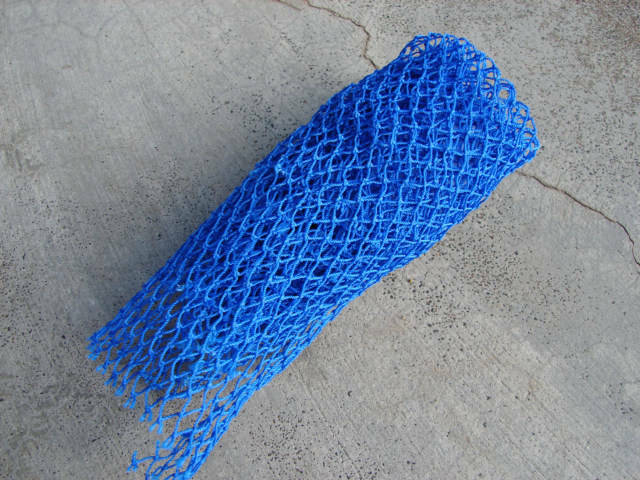 I have been using this stuff now for about a month, after I finally understood what it was used for, everyone tries to sell it to me, but it looks like plastic mesh net, not like something to clean the body. This is a bar of soap and the plastic mesh. This stuff is not sponge, it does not absorb any water, that is why I like it, it is more abrasive than a wash rag, but does the same job, sort of does a like scrap of the skin, taking off the loose, does not need to be part of me anymore stuff. Storing a bar of soap is no longer a problem, this stuff wraps, and does not let go, the little plastic eats into the bar of soap and I can put the soap in my shower travel bag. 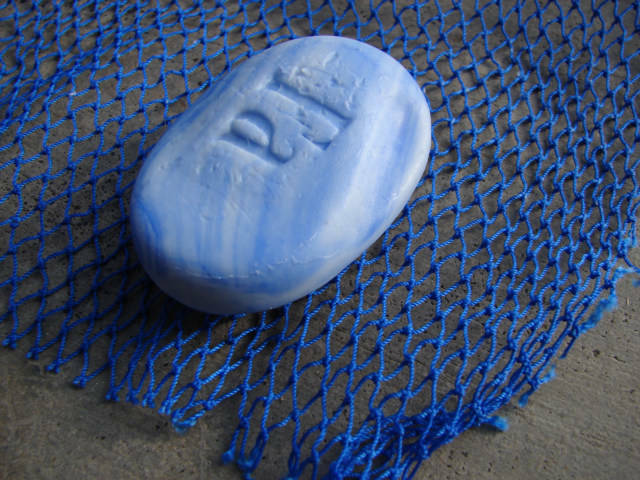 The soap will dry because the material is a mesh, not a rag. The bottom line, no mildew in the bag, this is plastic, water does not absorb into the plastic. I purchased 60 meters, whereby when I finally get a first run of 50 backpack made to sell, I can load it up with hard to find, however great travel gear.